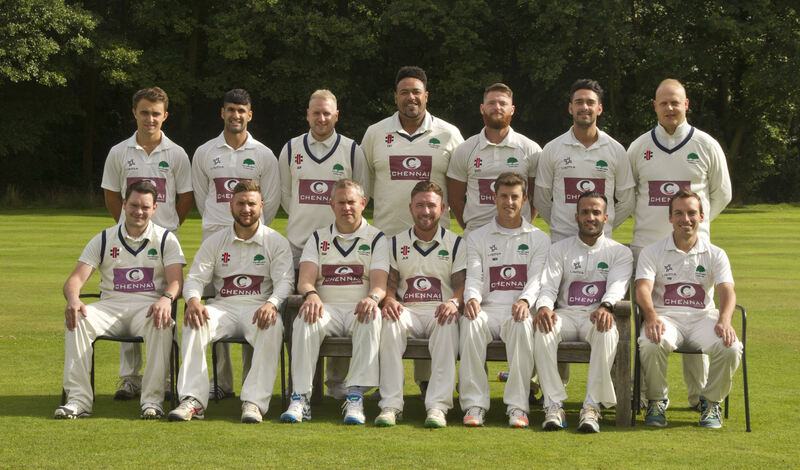 Four Oaks Saints will return to the Warwickshire Premier League in 2018 after finishing second in Division 1 at the end of the 2017 season. Saints – who were relegated into Division 1 in 2015 – had an opportunity to take the league title after leaders Water Orton had their game abandoned at Earlswood. Dodging rain showers at Bronze, a 20/20 game got underway and Saints posted 111-6 on a difficult wicket, Tom Wright hitting an unbeaten 31 whilst George Westlake and Justin Hipkiss hit 19 apiece. After just 3 overs of Bronze’s reply the heavens opened and the game was abandoned with the home side 9-0 meaning Saints had to settle for second place in the league, stretching their run of unbeaten games to 13. Saints leading players for 2017 have been Stefan Van Dyk who hit 635 runs at an average of 57, including 160* vs Ambleside, Zeeshan Javed who has scored 530 runs at 38, whilst Mitchel Minhas has dominated the bowling throughout the league with 61 wickets at 8.44 including 8/16, Aaron Khatkar also took 30 wickets at an average of 19.73. Skipper Jon Hipkiss has confirmed he intends to lead the team in 2018 as they return to the Premier Division.